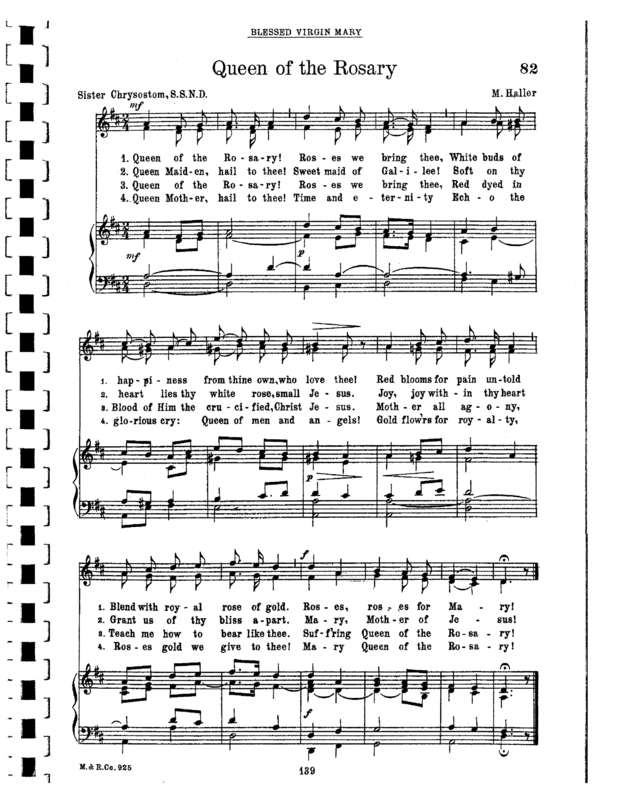 Found this site accidentally while looking for the above hymn. I did not know it existed." Can you help Regina find the hymn? For your convenience, Regina, I have taken a screen shot of "Queen of the Rosary" for you to download. See link below. I am curious if there is a typo in the last line of verse 1 in the hymnal. Regina's version sounds more correct: "Red blooms for pain untold blend with royal robes of gold."